SharePoint PDF Converter is a new lightweight, easy to use solution from BoostSolutions that will help you convert MS Office files and more to a PDF file, merge multiple files into one PDF file and the ability to convert PDF files back to a Word file. As with all BoostSolutions’ products, SharePoint PDF Converter is available for a free 30-day trial download. Here are some of the great features you will find in SharePoint PDF Converter: The ability to covert Office documents and Photoshop files to PDF files or TIFF; Convert PDF files to Word; Convert Word files between .doc and .docx; Convert image files (TIFF, JPG, JPEG, PNG) to PDF files; Send a document as a PDF attachment; Download a document or file as a PDF file; Combine multiple documents into one PDF file; and combine documents in a folder into one PDF file. 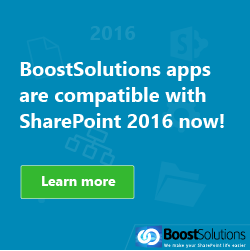 How can you make BoostSolutions PDF Converter even more powerful? 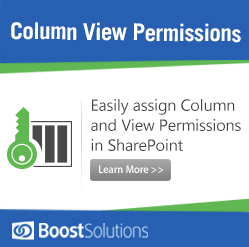 With Document Viewer; this handy tool can help you quickly and easily view SharePoint documents in your browser. With Document Viewer, you can quickly view documents without installing software or downloading the document, preview the document using thumbnails, view PDF bookmarks and more. If you think the good news ends there, then you are in for a big surprise. BoostSolutions will give you a 30% discount if you buy both PDF Converter and Document Viewer today. These two tools work together to help you not only quickly view documents but also convert and distribute them easily. 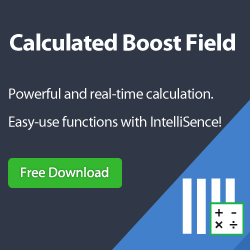 Is this tool right for you and do you need it? This is a powerful but important question to ask. If you are dealing with many documents and you want easy portability and readability then this product is for you. What do we mean by this? This means that no matter what program you use to create your files, you can easily convert them into PDF file so that they can be transferred and read anytime, anywhere by anyone. And even better, if you are sent a PDF and want to edit the document, you can easily convert it to a Word file, edit it and then convert it back to a PDF file. 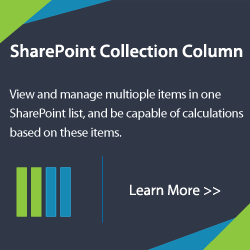 The best thing about this product is that all of this can occur right within SharePoint without having to download and manipulate the document before conversion. Pretty! This was a really wonderful article. Many thanks for spplying this information.